I can’t even with this session. Just can’t. This sweet, gorgeous baby, the hair, his adoring, easy going, down to earth, fabulous parents, and what? They live in Burbank, too! Their commute to this session probably took exactly four minutes. Kidding, but wow, we have had a lot of our tiny clients coming from our very own Burbank lately. Mom was a real planner and was on our Los Angeles newborn photography session schedule for three months! We do recommend booking your newborn photo session with us in your fifth or sixth month of pregnancy to ensure a spot on our schedule. 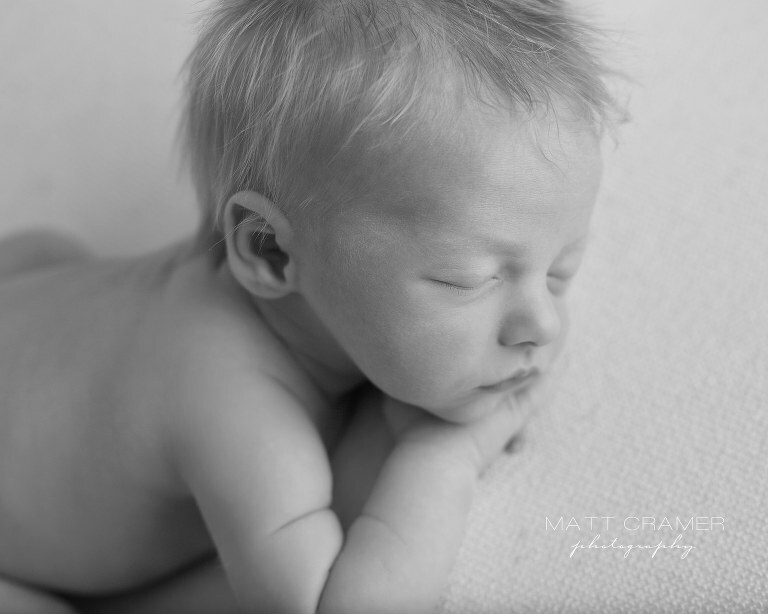 (Infant Photography Session Los Angeles). 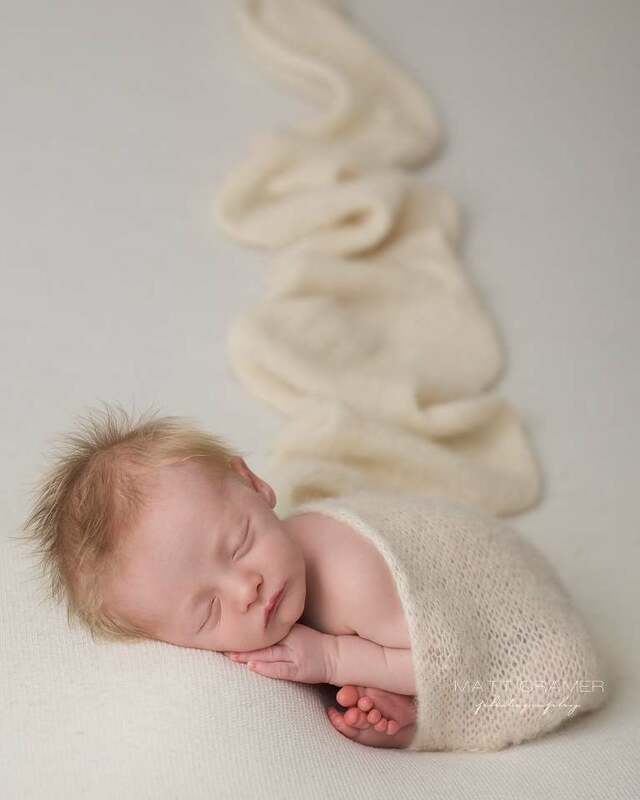 In our newborn sessions, we always start with baby on fabric shots. These photos give a different feel than our prop shots. Both are beautiful in their own artistic way. This bare baby pose is my all time favorite and is the pose we always start with. This custom knit alpaca wrap has just the right amount of texture and flow that I like. We get this shot, where baby is covered and wrap is flowing behind baby, requested a lot! I gently guide baby into the next pose- cute little sleepy, bum up pose. Just baby, so simple. Oh this boy, just so sweet! 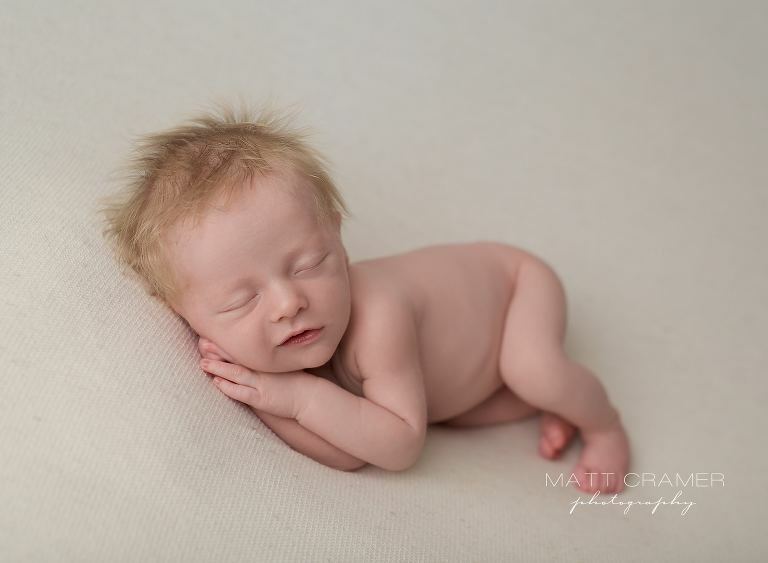 Peacefully slept through another pose, and this was the one his parents chose. Profile shots in black and white are always a parent favorite! Last, we captured this cute, side laying pose. And then he flashed us a little smile. GAH. Switching to prop shots, we started with this light blue wrap and cream texture. Such a light and airy color combination! His little peaceful smirk is just perfect. Oh hello there handsome! During the 2.2 seconds he opened his eyes, we captured it! 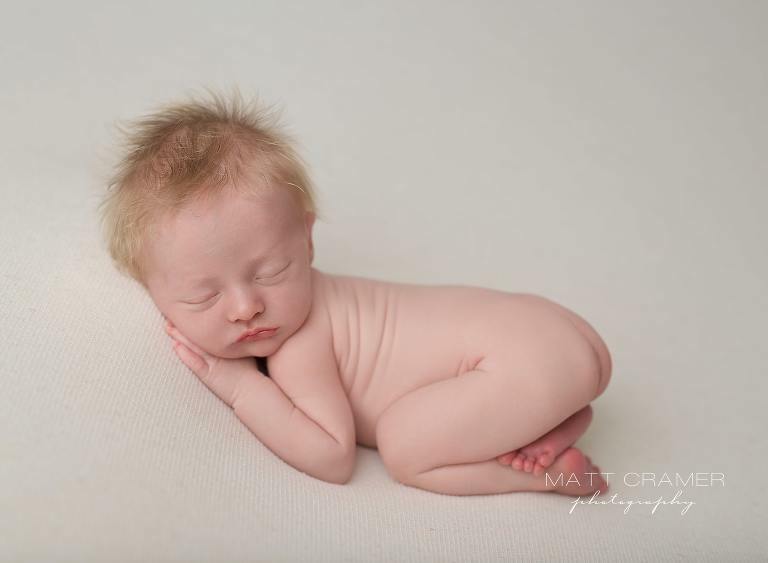 Sleeping baby shots are the #1 goal of our newborn photo shoots, but if baby does wake or opens their eyes, we always photograph it. Parents love these shots because in these first few weeks, they really don’t wake for long periods of time. Added a little matching sleepy hat to complete this nest look. Matt always makes sure I do a “toes out” wrap at least once during the photo session. It gives him an opportunity to capture macro shots of those ten tiny toes. Close ups of those beautiful, tiny features. Mom and Dad loved the sweet details of every feature on his face. It won’t be long until this tiny face is an on-the-move toddler. Next we moved to our textured background look. It gives a totally different look to the proof gallery and parents love all this texture! This shot needs to be made into a huge canvas and hung on a wall! If we had to pick one shot from the session, this would be it. It’s funny that I don’t really know how this set up came into the session flow. But we sure are happy we shot it. I think it was the way his wrap came out- so perfectly snug and clean. Immediately, we thought it should be the focus of the shot, so we used just a classic black background. Putting all the focus on baby and his pure newborn beauty. This is how our sessions go sometimes though- a wrap happens, we envision something, and we make it happen on the fly. Those little hands and curled up toes. Last, we moved to an all grey set up and I just HAD to add in our new custom felted fox lovey. The way the rust in the fox and the wood bowl brings out his hair is gorgeous! He was still snoozing deeply at this point….